The Chess Castle moves the king to a safe place. Castle as fast as you can in your chess game or your king will get stuck in the centre and will get attacked from all sides! 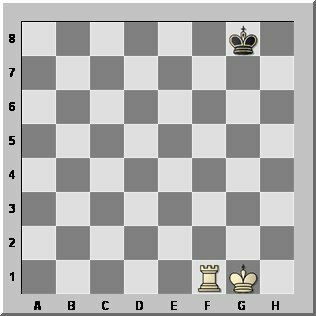 If king and rook have not moved before in the game. 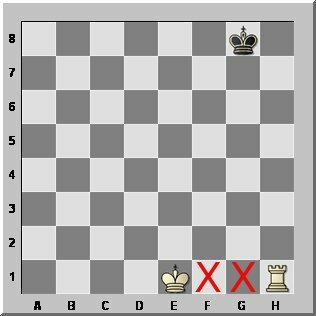 If the king must not move to a square that is attacked by an enemy piece. 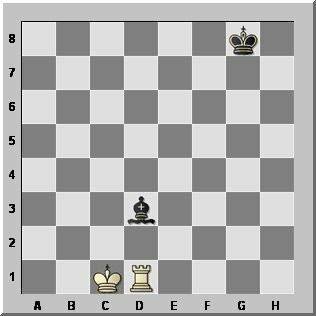 If the king is not attacked by a chess piece, which means, if he is not in check. 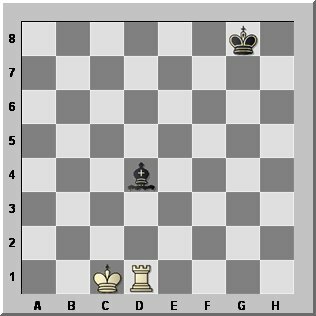 If the squares between the king and the rook are empty. 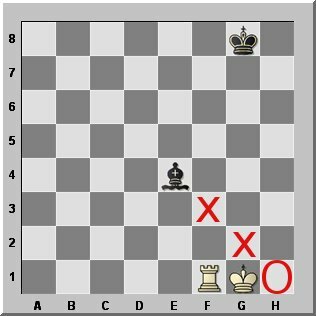 1.Move the king TWO squares to the right. 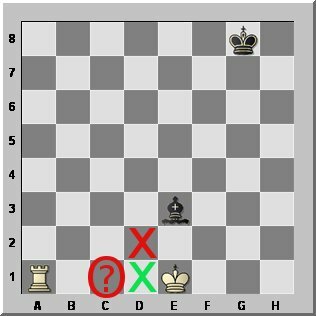 2.Place the rook to the left hand side of the king. Yes! Correct! 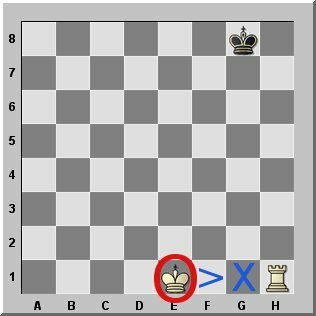 2.Place the rook to the left hand side of the king. When the marked squares are hit by a piece you can't castle! White castled correct. 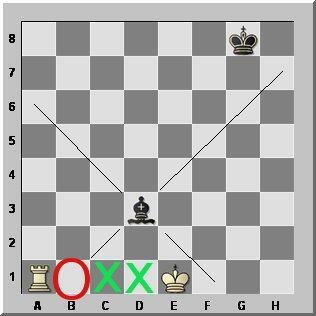 The TWO squares were NOT hit by the Bishop. You can't castle here! 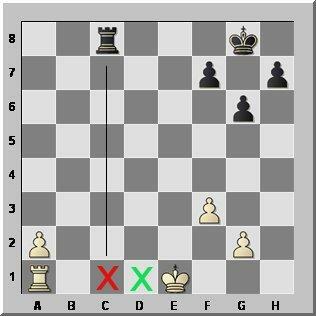 The black bishop hits ONE of the TWO castling squares! 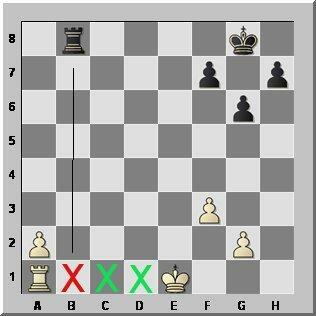 the same chess rule applies in long castling. The bishop does not hit one of the two castling squares. White castled correct. Yes, you can castle long. White castled correct. 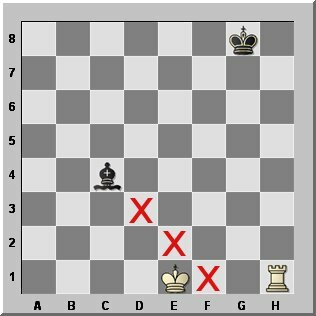 No, you CANNOT castle, the bishop hits one of the TWO castling squares. No, you CANNOT castle. The rook hits one of the TWO castling squares. Yes, you CAN castle, the rook does NOT hit one of the TWO castling squares. White castled correct. White castles long to bring his king to safety AND to develop his rook to the d-file. 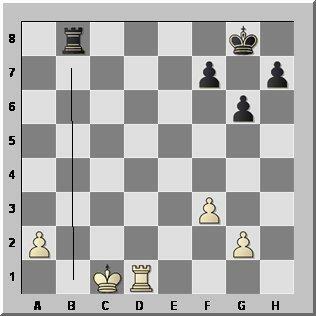 Castling here speeds up the development of white's forces. 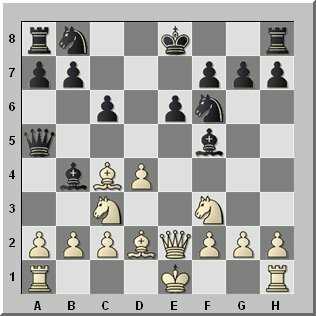 White will castle long to run an attack on the black king using his pawns on the kingside. 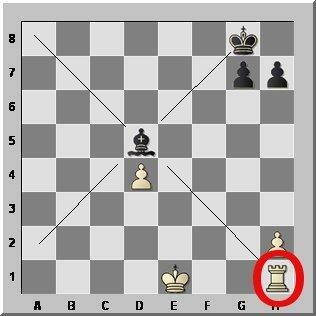 White's king will be safe on the queenside when his kingside pawns move forward. 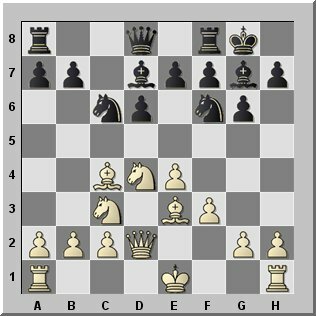 The long Chess Castle can be used to speed up the development of the rook on a1 and to prepare an attack on the other side of the board.